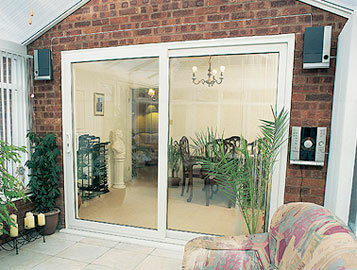 Inline Silder doors offer versatility with a classic touch to your home in the Worcester area. Manufactured to your bespoke sizes and designs. In Line Sliders or Patio doors as they are known are ideal for a wide range of uses and compliment any conservatory or exit outdoors An In-Line slider creates a unique design statement within your home. 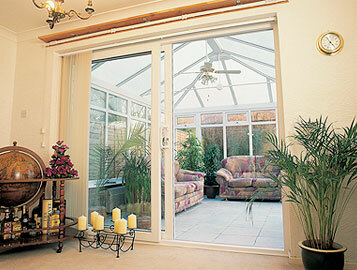 Our doors have a classic appearance with all the benefits of contemporary PVC-u double-glazing. These doors are available in a choice of styles – chamfered or sculptured with a choice of opening options mean you can tailor the finish of your In Line slider to your individual taste. All our doors are complimented with the High Security multi point door locks with a 10 year guarantee. Total piece of mind.